Zack Snyder’s Batman V Superman: Dawn of Justice finally gives DC and Warner Brothers the right to add themselves to the club of having a cinematic universe. It is only two films deep but that was Marvel once upon a time and other attempt to replicate that have been unsuccessful so it is a club that only really has two members. Before I begin I’m going to refer to this film as Batman V Superman because the full title is just too long and wordy. The title and the film both share the problem of being too long. At 2 and a half hours it’s an absolute beast and it really feels as long as it is. I personally find it difficult to have a 2 and a half hour running time be justified even on films that I enjoy and this one is no exception. It doesn’t earn its running time nor does it make proper use of it. Batman V Superman is a film of two halves. The first half is far more interesting and the second half I’ll come back to. As a starting point the film uses the events of Man of Steel as a springboard for what happens here. Superman is a divisive presence in the world, some people think that his help is what the world needs and others think that he has too much power to feel safe around. I liked this angle as Superman often enjoys near universal adoration in the comics so seeing uncertainty surrounding him and people being afraid of him is an interesting idea that starts to be explored well but is never really organically resolved. Superman is facing an existential crisis because of the way the public see him as he doubts whether he actually is doing any good or not. Are his actions helping people or simply intensifying the paranoia and creating more problems? There are some great scenes where Superman wonders what he actually stands for and whether it’s right for him to interfere the way he does. It gives Superman a degree of depth as a character and more for Henry Cavill to work with as a result. I liked Cavill in Man of Steel and I like him here as well despite the fact that his Superman is a fairly bland character. As I said there is some degree of depth to him here but his crisis is never resolved and there isn’t enough time spent exploring who he is as a person for any of it to come across well. The character isn’t written or performed with the effortless earnestness of the Christopher Reeve incarnation so he often comes across as a function of the plot as well as a collection of ideas and principles rather than a fully realised character in his own right. Feeding into these doubts of Superman is Bruce Wayne AKA Batman (Ben Affleck). This version of Batman is a lot older than we have seen him before and has been fighting crime for a long time with no real dent made in the criminal population. He goes out night after night and makes very little difference so there’s a weariness about him that constantly comes across. 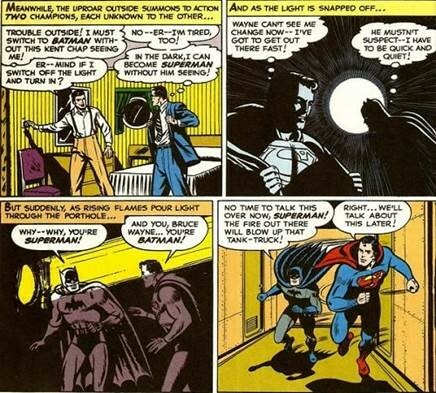 Superman represents unpredictability to Bruce Wayne. He has seen good people go bad and thinks that Superman will be no exception so takes it upon himself to make sure he’s prepared to take him down.When Ben Affleck was cast I really had my doubts as I have always found him bland as an actor. It turns out that his blandness works in his favour here as there’s a flatness to his performance that feels almost eerie. It’s impossible to tell what he’s thinking or what he might do next and that really works for this version of Batman. I’m almost prepared to say that this is my favourite big screen version of Batman which is something I never could have predicted going into this. This version is unhinged and almost terrifying which really works for me. I’ve never been the biggest fan of the character but I like him being the scary guy in the shadows that is beyond understanding. I also found it interesting that every dream Bruce Wayne has is a nightmare and the suggestion that he wants to defeat Superman because he’s scared of him. It is established that he overcomes his fears by taking them down so that really fits in with his hatred for Superman. 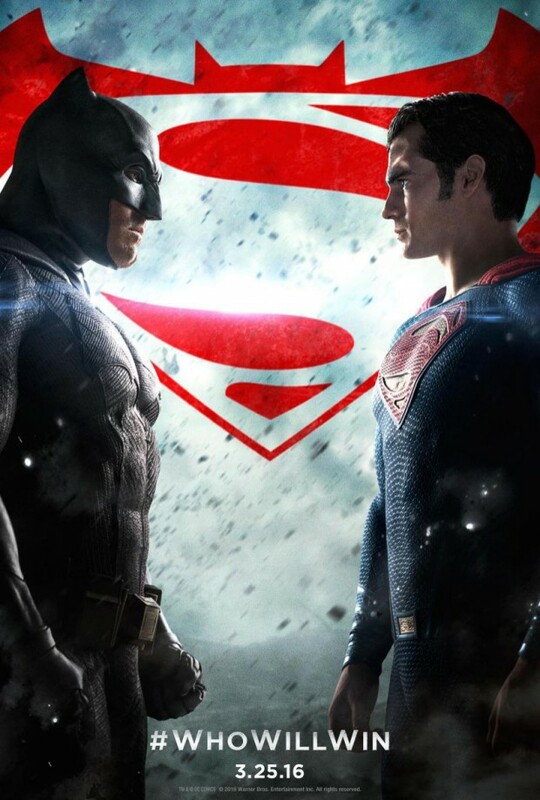 The first half of the film builds towards the title fight between Batman and Superman but there’s an underlying conflict beneath that concerning their ideologies on protecting people. Superman is very much the sort of guy who swoops in to save the day and doesn’t really consider what he’s doing where Batman is more calculating and aware of the consequences. I really wish the film had made more of Superman being a loose cannon as that was a solid motivation for Batman to consider him a threat. He’s new at the crime fighting business and has too much raw power that he seems to misuse. I really enjoyed the visual spectacle that was the fight advertised by the title of the film but considering the hype around these two characters fighting one another the whole thing doesn’t last very long. In context there’s only so long it could go on for but honestly I was expecting a little bit more than we get here. 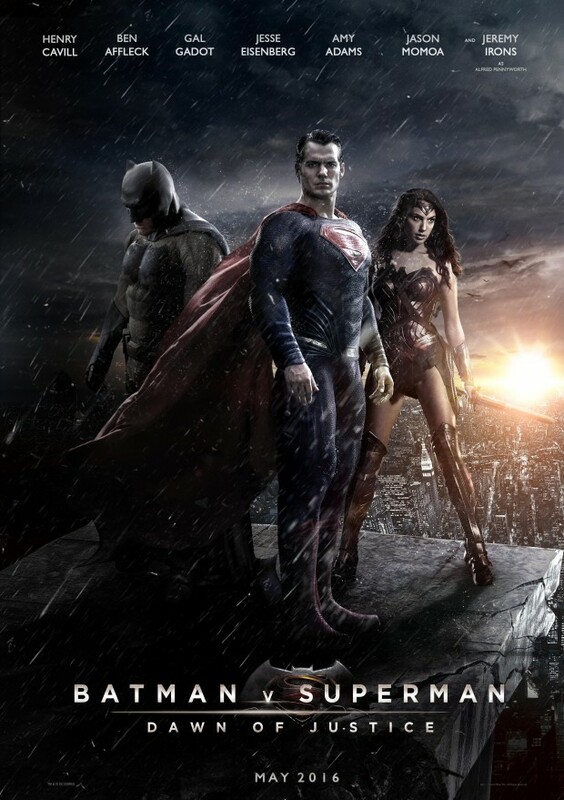 Still, it’s an excellent looking film as you’d expect from Zack Snyder. Almost all plot is abandoned in the second half. Most of the character arcs started in the first half all but disappear and give way to pure action spectacle. I’m not saying the first half was lacking in action but there was plenty of interesting content surrounding the action sequences to make them feel worthwhile. To explain what goes on would be going into major spoiler territory but much of it makes sense in context despite the fact that it feels like it belongs in a different film. Perhaps this film should have been split into two parts so that the central conflicts could be resolved in the first part before giving way to the impressive action that takes up so much time here. This film features the first cinematic appearance of Wonder Woman unless you include The Lego Movie. Gal Gadot is great in the part and her appearance is brief enough that she doesn’t overpower an already overstuffed film yet significant enough that her presence feels worthwhile. She gives off a really exotic quality that fits the character well and is able to conduct herself believably in the action sequences. I’d say she’s a worthy choice for this part and any doubts that people had about Gal Gadot’s ability can surely be put to rest now. Jeremy Irons’ Alfred was one of my favourite additions to this cast. Alfred has been slightly altered to be more of the Q to Bruce Wayne’s James Bond rather than simply his butler and confidante. It’s a good change for the character and allows him to directly challenge Bruce in a way that I really haven’t seen before. Amy Adams’ Lois Lane is another problem this film has as the script really doesn’t know what to do with her. At first her relationship with Superman seems to be something she is struggling with as well as investigating Lex Luthor in her own way but come the second half she just seems to be there because the script says she needs to be. I wonder if this film needed her at all or if she would have been better served disappearing entirely once her role in the story is over. Lex Luthor (Jesse Eisenberg) takes on a villain role in this story. The character was uneven to me as it seemed like both the script and Eisenberg were trying too hard to make him a quirky character which just comes across as cartoonishly immature. There are some scenes where he projects some real menace and his intelligence is never in doubt but there was something about the character that just didn’t click for me. I feel that he doesn’t fit in with the tone of this film so he stands out as being out of place to me. Speaking of tone, this film has a really bleak one. I don’t really want to contribute to the Marvel Vs. DC debate as there’s enough of that already but in this case I feel that my upcoming comparison is a necessary one. Marvel have concentrated on building a Cinematic Universe where superheroes are largely fun and even their darker stories are handled with a fairly light touch that stops them from being too grim. I’m talking exclusively about the films here not the Netflix shows which are an entirely different entity. DC have gone for a more serious tone in their Cinematic Universe which isn’t a good or bad choice, simply a different one. There is certainly room for both and the choice made by DC is valid. It all comes down to personal preference what you will personally respond to. It’s interesting to note that in the Marvel films super powers are considered to be cool things to have and people manage to have a lot of fun with them where Man of Steel and Batman V Superman portray super powers as dangerous things that have visible effects on their surroundings. Every time Superman takes off it is accompanied by a harsh sound for instance. There are other examples of the use of abilities causing unintended destruction as well. A long review but I’ll sum up by saying that I liked it. The whole thing is too long and largely falls apart in the second half but there are some interesting ideas surrounding Superman that get some exploration and Ben Affleck might be the best big screen Batman yet. If you liked Man of Steel then you will probably enjoy this one too, though maybe bring a cushion. This will be a relatively short spoiler section as there weren’t many surprises that haven’t already been either talked about or shown in some way so I’ll keep it brief and use headings to separate out the main points. As with Marvel this film uses some of its running time to set up future films by featuring cameos of other super heroes. We get a glimpse of Ezra Miller’s Barry Allen aka The Flash, Ray Fisher’s Victor Stone aka Cyborg and Jason Momoa’s Aquaman in a really tacked on scene that doesn’t work at all. I’m all for setting up future movies but having Wonder Woman sit in front of a computer opening video files that show her these other metahumans it feels like having cameos for the sake of having cameos. I would rather they didn’t do this at all and simply have the lightning bolt symbol -for example- be displayed to tease the appearance. Man of Steel did this well with the Wayne logo appearing in one scene. It often doesn’t need to be any more than that and this film demonstrated a complete lack of subtlety with the cameos. Anyone who has seen the trailers will know that Doomsday is in this film. In the comics Doomsday is known for killing Superman and that’s about all he does. He serves no other purpose so as soon as he appeared I knew that Superman likely wouldn’t make it out alive. He does the heroic sacrifice and dies a hero who protects his people but that feels at odds with the mistrust people have of Superman earlier in the film. Does his sacrifice prove that he was a hero to everyone? I doubt it considering it’s Kryptonian technology that caused this in the first place so I’d have liked to see some evidence of people being glad he’s dead. I do like the idea of Batman and Wonder Woman forming the Justice League as a way to honour Superman by bringing together people with powers to keep fighting the good fight in his absence. There is also the hint of something bigger coming to make a super powered team necessary. The hint of Superman’s resurrection at the end was expected as well but I’d rather have that left out. See, I told you it’d be brief. There wasn’t that much spoiler talk to be having so I kept it as brief as I could. There’s a lot to like in this film and a lot to dislike as well so you can only make up your own mind. This is probably the only review of yours that I have been scared to read. As you know, I mostly agree with your opinions when it comes to the shows we watch. But.. I am a huge Batman fan and I had a feeling I wasn’t going to agree with you this time. I am writing this before I even read the review, because I have the feeling you are going to be all for Superman and completely against Batman.. I guess I’ll see.. So, I was wrong.. I actually really expected you to hate Afflecks Batman, where I thought he was the perfect representation of him, especially this version of him. I don’t really know what else to say.. I guess I am sorry for jumping to conclusions, and your review was possibly spot on as usual. I have been looking forward to this movie since it was first announced and I wasn’t disappointed in the slightest. Sure it was long, but I still loved it.